I must admit it, the number of ladies I see training in the free weights section of the gym I train in, is lesser than the number of people wanting to watch the movie, The Xpose. In other words, you'd be seriously lucky if you come across a female gym member lifting something heavier than a lipstick in the gym, once she is free from gasping for her breath on the treadmill. IN fact, you may find the female audience lined up in a queue waiting for their turn at the treadmills rather than utilizing all the time to go and try having an introduction with the dumbbells. Puhleeez......I don't want to look like a man! 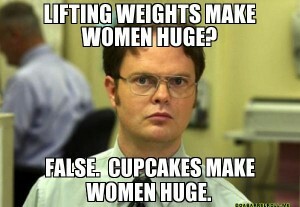 Anyway, it's no surprise how women the world over shy away from touching weights, no matter what their fitness goals. And they cannot be blamed at all. 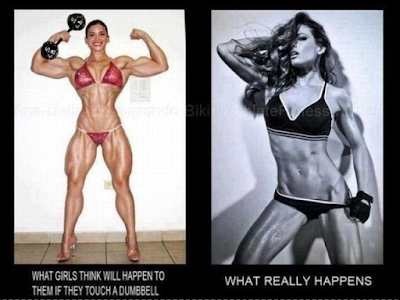 The mindset at play here is a result of decades of misinformation and false advertising that has plagued both the female and male psyche about how the human body responds in a gender specific way to weight training. We do realize that a part of this misinformation does stem from a scientifically correct rationale that when it comes to being more manly(or adding slabs of muscle to your frame), there exists a hormonal aspect of the series of changes which lead to cosmetic transformation. 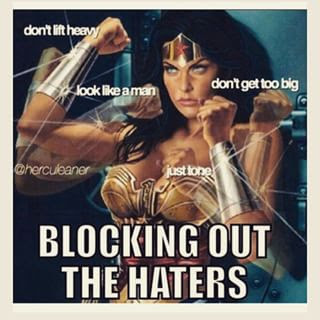 Let's look at a few common notions held by most of our fellow ladies in the gym, and the logic/science behind why they don't hold a strong ground. The good news is that most of the fog surrounding this age old held belief has been recently cleared off with the most relevant advances of science reaching the mainstream lifting community. However, old beliefs do die hard as the morbid phobia of somehow getting metamorphosed into a silver back gorilla by lifting heavy weights does haunt a vast majority of the women. However, the silver lining to this cloud has been the efforts of several fitness, health, wellness and sports houses such as Strongfirst and Crossfit that most of the contemporary women have broken the shackles of old thoughts and come to the forefront and started experiencing the unseen benefits of lifting now. And to their pleasant surprises, most of them are now baffled at how they could have missed such a powerful style of exercising from so may years. Moreover, awesome group of female expert faculty on the subject of weight training such as Girls Gone Strong have added invaluable contribution to correcting the female thought on the subject and transforming the industry on the whole. Do head over to this awesome website and you will be hooked. Waistlines seriously start getting firmer and smaller and the much coveted athletic build is slowly getting nearer for the ladies as they have started incorporating lifting weights into their gym programs. And by the way, those beefed up ladies carrying a tonne of muscle in the bodybuilding competitions wouldn't have been possibly able to attain such elite levels of muscularity without certain pharmaceutical aid. If you are not consuming any of those, there is no reason for you to worry about the effects of androgenization. Running continuously for upwards of 20 minutes on the treadmill does turn us into a pool of sweat. And some urban legend(I'm not sure whom to attribute this with) does spark it in our mind that seat dripping from our bodies is equivalent to fat being burnt off(Yes, there ARE several individuals who believe this). Another dimension is added to this information holocaust by the calorie counter continuously dancing on the digital console of the treadmill(or the exercise bike, elliptical trainer or rower) which is untiringly showing you the most precise number of calories you are burning while running, making you somehow believe that it's simultaneously enabling you lose fat, then and there itself! a. Do not necessarily come through all the fat stored on your bodies. b. May often result from sacrificing the muscle that your frame currently carries. ...which is why it makes running, although really great as a cardiovascular endurance boosting activity, pretty obsolete for rendering any body composition changes. As a side note, if caloric expenditure is the approach employed for fat loss, not consuming the calories in the first place seems a more logical choice than gulping them and trying to burn them off later. On the other hand, imagine a woman who has just started including a mix of weight loaded squats, deadlifts, rows, cleans and presses in her exercise routine. In the coming weeks, she is going to witness improvement in a host of muscle groups including her grip, her mid-section, hips, legs, arms(one of the major problem areas of women especially in their middle ages) or in other words, all superficial and deep muscle groups which she might never even have known existed. The demands for recovery and growth placed on this vast range of tissues across her body is going to result in a serious spike in the energy requirements of her body. And since maintaining and growing this much amount of muscle isn't an instantaneous process, it may require the body's energy reserves to stay elevated for prolonged periods of time even after the workout session has finished. An intense weight training session might require from 12 hour to even 48 to 72 hours in cases of relatively novice populations. Which means that your body has been transformed into a continuous heavy duty energy expending furnace. Compare this to the momentary increase in caloric expenditure which was reported on the treadmill screen. Weight training offers you a far better insurance plan against fat gain and is a more potent weapon in your fat loss battle since the prolonged low intensity requirements of energy during this 'afterburn' period following a resistance training session finds Stored reserves of adiposity(or Fat) as the most suitable source of fuel for its sustenance. Effectively, this means that by stepping down from their running treadmills and turning their attention towards that lonely stack of progressively heavy dumbbells kept in the other end of the gym, the ladies can take a giant step towards staying lean, strong and healthy for the rest of their lives in a more efficient manner. 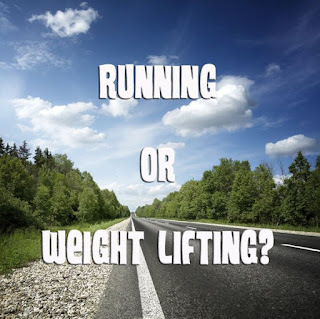 Additionally, if you still find that running is definitely your forte over lifting, do your joints a big favor and start running outdoors on the real ground instead of the treadmill, a recommendation which requires a separate blog post altogether. Finally we managed to bring our lady training partners towards the desolate part of the gym where we see objects such as bumper olympic plates, barbells, dumbbell racks, power racks etc. What do you then see the ladies next do? They usually get hold of the most safe looking small pairs of dumbbells and use it to go through the entire session. Now, as a relatively unexposed trainee, it does make solid sense to start small and keep progressing. 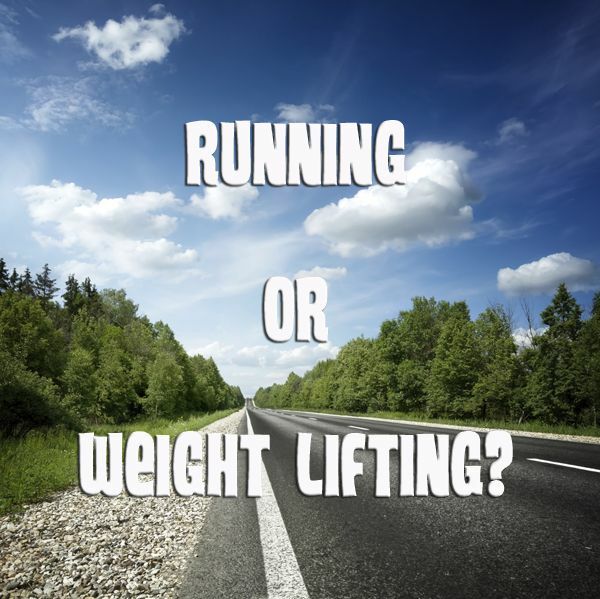 However, believing that the same amount of weight shall get you all the benefits of imparting a certain shape to your muscles throughout life, without the need to ever jump up in terms of the weight lifted is simply illogical. "Muscle tone (also called tonus of residual muscle tension) is a measure of a muscle's resistance to stretching while in a passive, resting state . It is also a measure of the continuous, partial contraction of muscles while in a passive state of activity." In other words, the actual Tone refers to the amount of tension which a muscle can hold when you are not training in the gym. However, many females might define a toned body as one that is slim and is not having any visible/excessive layers of fat over it. There thus becomes a stark difference between the actual and the inferenced meaning of getting toned. Taking the conventionally held definition, attainment of a wiry, athletic frame with less body fat is a state most directly achievable through heavy lifting and eating right. While eating right deserves a separate blog post on its own, the effects which heavy lifting has on your muscular appearance can really get dramatic. Applying fundamental physics, we can identify weight as a force which equals mass times the gravitational constant. In order to move a mass from point A to B, an equivalent magnitude of force needs to be applied to it. The applied forces thus equals the mass lifted times the acceleration we can impart to it. This force gets generated in the form of the force of tension within the muscle fibers being worked in the body. Using principles of direct proportion,the more mass a trainee attempts to lift, the more tension her or her assembly of muscle fibers and surrounding connective tissues needs to generate. This sets the stage for a substantial increase in the amount of residual tension which the said muscle groups are going to retain much after the training session has finished. The take away point here is that when it comes to the idea of muscle toning, the way most females interpret it, big, heavy lifts for a much lesser number of repetitions are a much better choice than pumping sissy small weights for hundreds of reps.
Well, so is not lifting anything heavy. In fact, even more so. A lot of us including both females and males believe that looking at the modern lifestyle, there is very less in the name of real life issues where the strength gained in the gym carries over to. However, a more patient analysis reveals a gamut of occasions requiring us to be a strong ox to remain injury free. 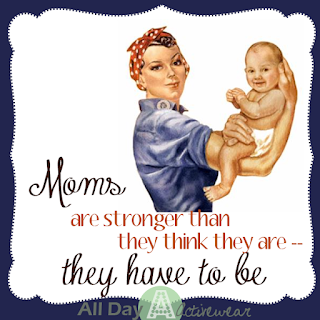 For moms, being able to lift and carry their little toddlers while walking is a chore mostly requiring a stiff and stable core and grip strength which can be directly derived from some form of loaded carries. While shifting a house, those of us needing to shift furniture will benefit tremendously from doing heavy deadlifts and grip specific as well as core strengthening moves in the gym. Both moms as well as dads will have an edge while they play their occassional game of soccer, cricket, badminton etc with the kids and will always have their joints protected owing to all the strenghening which their muscles have received from the progressive weight training done in the gym. Well, sometimes, you know, you have to be the strong one to lift the loads! 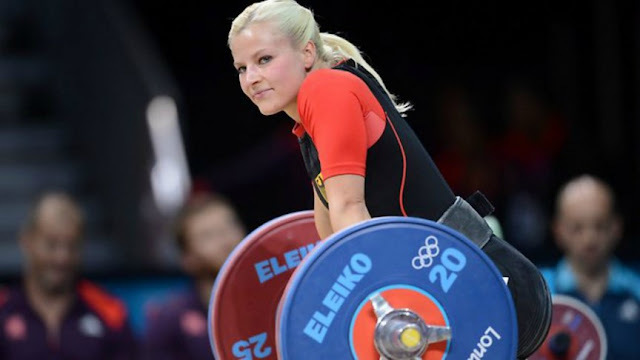 There are a vast range of reasons why any girl should start utilizing the bounty of heavy lifting in her training immediately. Compared to most forms of training and fitness activities, weight training gives you one of the simplest and most efficient means of quantifying and tracking your progress. Any personal development measure without an effective progress tracking methodology gets rendered obsolete. It's about time our girls drop the idea of shying away from weights owing to the above notions and bring to fruition the immense body composition and real life health benefits which heavy lifting can enable them with.